Our last time in Guatemala was on December 9, 2009 when we left with Juan Pablo to return to our Indiana home and start our family. God called us in 2005 on our first mission trip to the country then in late 2009, we made our 10th trip and left with our son. 9 years later, we have finally returned! We had hopes to return at the right time and now that JP is 16 and our girls are a little older, there couldn’t be a better time. 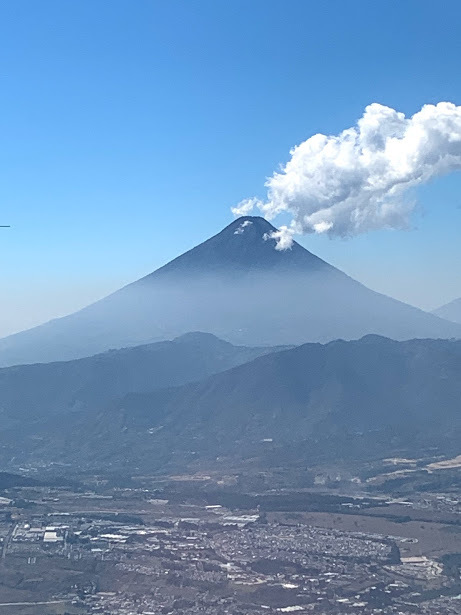 It was so refreshing to fly in during the day today and witness the beautiful countryside including the vast mountains, fields, roads, and volcanoes. As we drew closer to land, there were so many memories of previous trips coming to mind that God has allowed us to experience. Though the country is beautiful, the people and children we have met through the years make it that much more breathtaking. Unlike our previous trips, this time we are accompanied by our boys, Juan Pablo and Sam. 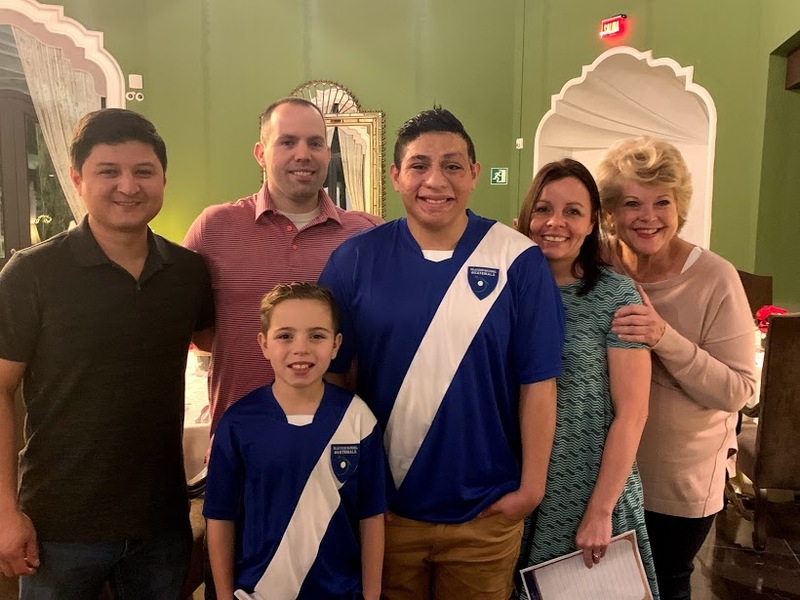 Juan Pablo’s story obviously began here, but for Sam it’s an opportunity to see a new culture, serve, and connect with other kids. This trip will add a new perspective to the way the boys interpret life and help draw them closer with God. 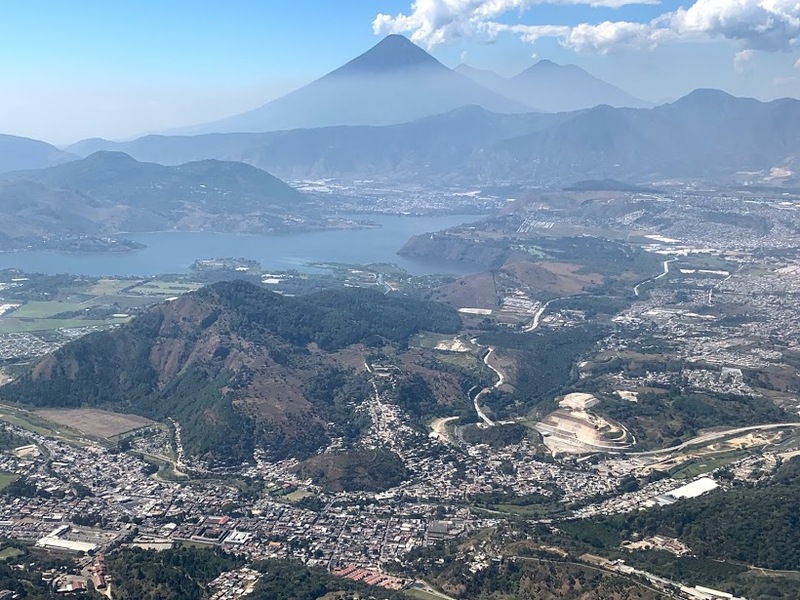 Our first day included navigating through the familiar airport in Guatemala City, being shuttled to the hotel, then out for lunch and a little site seeing. 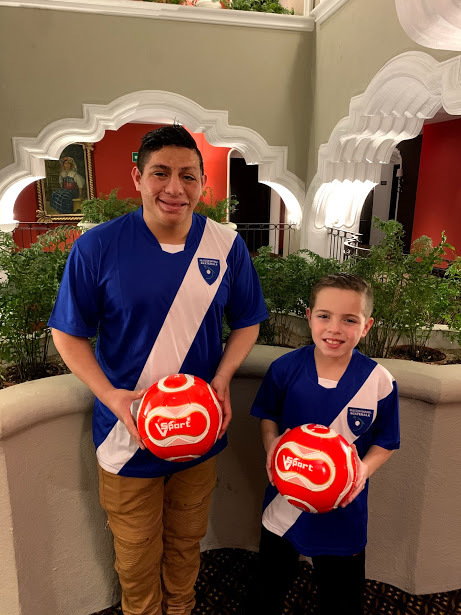 We bought each of the boys a Guatemala soccer jersey and also purchased a few soccer balls to give to the kids we’ll visit this week. As we drove through the city, the boys asked questions as they identified differences compared to the way things are back home. Juan Pablo started remembering different sights and locations as we drove about. As Karen and her team arrived later in the evening, we reconnected with an old friend and Buckner Guatemala Director, Roberto. He was in awe to see how much Juan Pablo has grown and was pleased to see us back in Guatemala. Roberto shared his story with us about how he first met Juan Pablo. In 2005, Roberto was working part-time for Buckner on mission trips as a translator. He had never been to an orphanage, but when he entered his first one with a mission team, he became emotional and unable to speak, let alone translate. 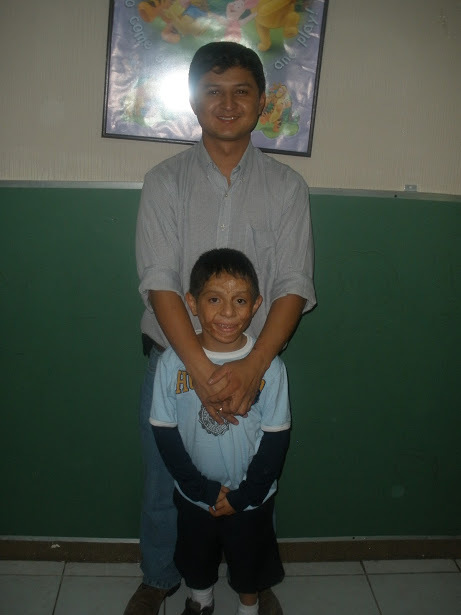 Roberto pictured his then 4-year-old son as one of the many children at that particular orphanage who didn’t have a family and needed love. That moment alone truly impacted his life, but then he met Juan Pablo who was one of those children at the orphanage that day. He went on to share how he remembered meeting JP in a couple different homes including one at Manchen before Juan finally came to the Buckner baby home. He told Juan Pablo that he is a miracle, one that is tangible, and not just a story we hear about. God’s divine plan led JP to Buckner, us to Guatemala, and ultimately united us together as a family. The adoption took 3 years. We met Juan Pablo when he was 4 and brought him home at the age of 7. The walking miracle is now 16 and has a faint recollection of the other impossible events that God made possible for him to be a part of our family and come to the United States. As Roberto shared his memories of Juan Pablo, it was clear that for the current teenager, his life didn’t just land him where he is today by accident, but there’s a bigger story. A story that is providential and God-breathed well before any of us had a name. Our hope is that Juan Pablo will never forget where he came from, the people that cared for and loved him in Guatemala, and the almighty God whose plans are trustworthy and still to be experienced. We appreciate Roberto and the Buckner team for the rich history of serving the Lord, but also extending His love to the least of these. Roberto with Juan Pablo in 2009 before JP came to the U.S.
And so here we are reconnected with Roberto and Karen. Such a good feeling to be again surrounded by these influential people who have made a positive impact on Juan Pablo and our family. Looking forward to serving alongside them this week and carrying on the work for the Kingdom. Packed light for a quick trip to Terre Haute!